At the Lower Oder Valley National Park, the protection of your personal data takes place in accordance with the relevant data protection regulations. Personal data are only collected by us if they are necessary for the establishment, implementation or termination of the data collection for an underlying legal transaction or if we are legally obliged to do so. Any additional data collection is voluntary and clearly marked on forms as such. We process personal data exclusively for the purposes intended during collection. Disclosure to third parties will only be made on the basis of legal obligations, or in the context of service contracts with subcontractors, which we have concluded with third parties to fulfil our business purposes. A deletion or blocking of personal data occurs as soon as the data is no longer required for the intended purpose. We take all necessary technical and organizational security measures to protect your personal data from loss and/or misuse. All employees of the Lower Oder Valley National Park as well as subcontractors commissioned by us are obliged to maintain the confidentiality obligation in accordance with § 5 of the Federal Data Protection Act. Upon written request, you will receive free information about your personal data stored with us, their origin, purpose and possible recipients. If you send us inquiries via the contact form, your details from the inquiry form, including the contact details you provided there, will be stored for the purpose of processing the request and in case of follow-up questions. We will not share this information without your consent. These data cannot be assigned to specific persons. A merge of this data with other data sources will not be done. We reserve the right to check this data retrospectively, if we become aware of concrete evidence for unlawful use. If you have any questions regarding the processing of your personal data, you can contact our Data Protection Officer, who is available to assist you in the case of requests for information, suggestions or complaints. These data are used exclusively for the purpose of technical administration. The use of our website is usually possible without providing personal information. If personal data are collected on our site (for example name, address or e-mail addresses), the input of such data always takes place on a voluntary basis wherever possible. These data will not be disclosed to third parties without your explicit consent. We would like to point out that Internet-based data transfer (for example, communication by e-mail) could pose security risks. It is not possible to protect such data completely against access by third parties. Third parties using contact data published in the context of the imprint obligation for sending unsolicited advertising and information materials is hereby expressly objected to. The operators of the pages explicitly reserve the right to take legal action in the event of the unsolicited sending of advertising information, such as spam e-mails. Each data subject shall have the right granted by the European legislator to obtain from the controller the confirmation as to whether or not personal data concerning him or her are being processed. If a data subject wishes to utilise this right of confirmation, he or she may, at any time, contact our data protection officer or any other employee of the controller. If a data subject wishes to utilise this right of access, he or she may, at any time, contact our data protection officer or any other employee of the controller. If a data subject wishes to utilise this right to rectification, he or she may, at any time, contact our data protection officer or any other employee of the controller. The data subject withdraws consent to which the processing is based according to point (a) of Article 6 paragraph 1 of the GDPR, or point (a) of Article 9 paragraph 2 of the GDPR, and where there is no other legal ground for the processing. The data subject objects to the processing pursuant to Article 21 paragraph 1 of the GDPR and there are no overriding legitimate grounds for the processing, or the data subject objects to the processing pursuant to Article 21 paragraph 2 of the GDPR. The personal data have been collected in relation to the services provided by the information society referred to in Article 8 paragraph 1 of the GDPR. If one of the aforementioned reasons applies, and a data subject wishes to request the erasure of personal data stored by the Lower Oder Valley National Park, he or she may, at any time, contact our data protection officer or any other employee of the controller. The data protection officer of the Lower Oder Valley National Park or another employee shall ensure that the erasure request is complied with immediately. Where the Lower Oder Valley National Park has made personal data public and is obliged pursuant to Article 17 paragraph 1 of the GDPR to erase the personal data, the Lower Oder Valley National Park, taking account of available technology and the cost of implementation, shall take reasonable steps, including technical measures, to inform other controllers processing the published personal data that the data subject has requested erasure by such controllers of any links to, or copy or replication of, these personal data, as far as processing is not required. 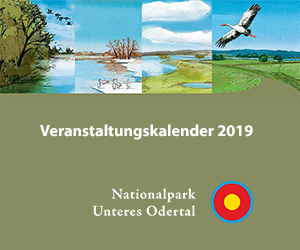 The data protection officer of the Lower Oder Valley National Park or any other employee will arrange the necessary measures in individual cases. The accuracy of the personal data is contested by the data subject for a period of time enabling the controller to verify the accuracy of the personal data. The processing is unlawful, the data subject opposes the erasure of the personal data and instead requests the restriction of their use. The controller no longer needs the personal data for processing purposes but they are required by the data subject for the assertion, exercise or defence of legal claims. The data subject has contested the processing according to Article 21 paragraph 1 of the GDPR pending the verification whether the legitimate grounds of the controller outweigh those of the data subject. If one of the aforementioned conditions is met, and a data subject wishes to request the restriction of the processing of personal data stored by the Lower Oder Valley National Park, he or she may at any time contact our data protection officer or any other employee of the controller. The data protection officer of the Lower Oder Valley National Park or another employee will arrange the restriction of the processing. Each data subject shall have the right granted by the European legislator to receive the personal data concerning him or her, which was provided to a controller by the data subject, in a structured, commonly used and machine-readable format. He or she shall have the right to transmit those data to another controller without hindrance from the controller to which the personal data have been provided, as long as the processing is based on consent according to point (a) of Article 6 paragraph 1 of the GDPR or point (a) of Article 9 paragraph 2 of the GDPR, or on a contract pursuant to point (b) of Article 6 paragraph 1 of the GDPR, and the processing is carried out by automated means, as long as the processing is not necessary for the performance of a task carried out in the public interest or in the exercise of official authority vested in the controller. Furthermore, in exercising his or her right of data portability according to Article 20 paragraph 1 of the GDPR, the data subject shall have the right to have personal data transmitted directly from one controller to another, where technically feasible and when doing so does not adversely affect the rights and freedoms of others. In order to assert the right to data portability, the data subject may at any time contact the data protection officer of the Lower Oder Valley National Park or any other employee. Each data subject shall have the right granted by the European legislator to contest, on grounds relating to his or her particular situation, at any time, the processing of personal data concerning him or her, which is based on point (e) or (f) of Article 6 paragraph 1 of the GDPR. This also applies to profiling based on these provisions. The Lower Oder Valley National Park shall no longer process the personal data in the event of the objection, unless we can demonstrate compelling legitimate grounds for the processing which outweigh the interests, rights and freedoms of the data subject, or the processing serves the assertion, exercise or defence of legal claims. If the Lower Oder Valley National Park processes personal data for direct marketing purposes, the data subject shall have the right to contest the processing of personal data for such marketing at any time. This also applies to profiling to the extent that it is related to such direct marketing. If the data subject contacts the Lower Oder Valley National Park to contest the processing for direct marketing purposes, the Lower Oder Valley National Park will no longer process the personal data for these purposes. In addition, the data subject has the right, on grounds relating to his or her particular situation, to contest the processing of personal data concerning him or her by the Lower Oder Valley National Park for scientific or historical research purposes, or for statistical purposes according to Article 89 paragraph 1 of the GDPR, unless such processing is necessary for the performance of a task carried out for reasons of public interest. In order to exercise the right to contest, the data subject may directly contact the data protection officer of the Lower Oder Valley National Park or any other employee. Furthermore, the data subject is free, in the context of the use of information society services and notwithstanding Directive 2002/58/EC, to exercise his or her right to contest by automated means using technical specifications. Each data subject shall have the right granted by the European legislator not to be subject to a decision based solely on automated processing, including profiling, which produces legal effects concerning him or her, or similarly significantly affects him or her, as long as the decision (1) is not necessary for entering into, or the performance of, a contract between the data subject and a data controller, or (2) is not permitted by Union or Member State law to which the controller is subject and which also lays down suitable measures to safeguard the data subject’s rights and freedoms and legitimate interests, or (3) is not based on the data subject’s explicit consent. If the decision (1) is necessary for entering into, or the performance of, a contract between the data subject and a data controller, or (2) is based on the data subject’s explicit consent, the Lower Oder Valley National Park shall implement suitable measures to safeguard the data subject’s rights and freedoms and legitimate interests, at least the right to obtain human intervention on the part of the controller, to express his or her point of view and challenge the decision. If the data subject wishes to exercise the rights concerning automated decisions, he or she may, at any time, contact our data protection officer or another employee of the controller. If the data subject wishes to exercise the right to withdraw the consent, he or she may, at any time, contact our data protection officer or another employee of the controller. We clarify that the provision of personal data is partly required by law (e.g. tax regulations) or can also result from contractual provisions (e.g. information on the contractual partner). In order to conclude a contract, sometimes it may be necessary that the data subject provides us with personal data, which must subsequently be processed by us. The data subject is, for example, obliged to provide us with personal data when our company signs a contract with him or her. Failure to provide the personal data would have the consequence that the contract with the data subject could not be concluded. Before personal data is provided by the data subject, he or she must contact our data protection officer. The data protection officer clarifies to the data subject whether the provision of the personal data is required by law or contract or is necessary for the conclusion of the contract, whether there is an obligation to provide the personal data and about the consequences of failing to provide the personal data. This website uses functions of the web analytics service, Google Analytics. The provider is Google Inc., 1600 Amphitheater Parkway, Mountain View, CA 94043, USA. Google Analytics uses so-called “cookies”. These are text files that are stored on your computer and allow an analysis of your use of the website. The information generated by the cookie about your use of this website is usually transmitted to a Google server in the USA and stored there. In case IP anonymisation is activated on this website, your IP address will be abbreviated by Google beforehand within member states of the European Union or other contracting states to the treaty regarding the European Economic Area. Only in exceptional cases will the full IP address be sent to a Google server in the US and abbreviated there. On behalf of the website’s operator, Google will use this information to evaluate your use of the website, compile reports on website activity and provide other services related to website and Internet usage to the website operator. The IP address transmitted from your browser by Google Analytics will not be merged with other Google data. Further information and the applicable data protection provisions of Instagram may be retrieved under https://help.instagram.com/155833707900388/ and https://www.instagram.com/about/legal/privacy/. These data are used exclusively to improve the Internet service and are not evaluated in a way that is traceable back to individuals. This data will not be merged with other data sources. An exception is the input of personal or business data (e-mail address, name) for the registration to a subscription of hydrological data. This information provided by the user is expressly voluntary. After 60 days, the pseudonymised access data are anonymised and the log files deleted. Tracing back to a specific person is then no longer possible.